Chrome fencing helps keep your shelves neat and organized for effective merchandising. 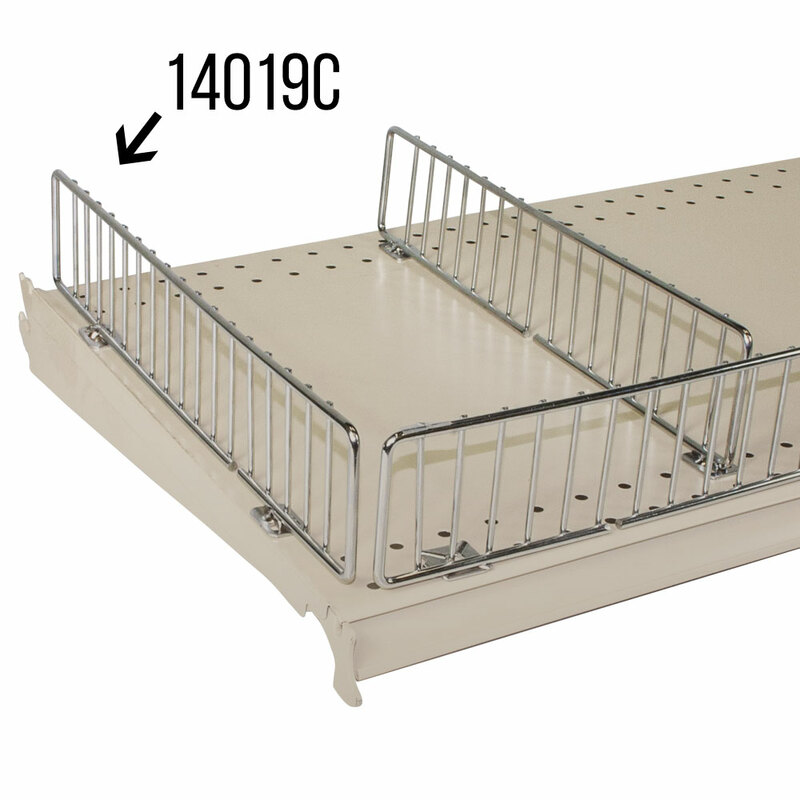 Featuring 2 middle hooks that can be attached to left or right side of metal shelf. Works best with our new and improved Gondola shelves in 14 in. depth.